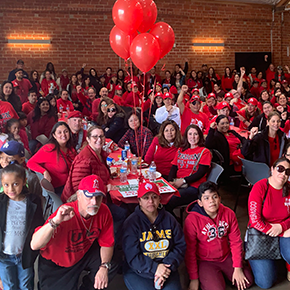 Today our teachers and our children are back in school, and Los Angeles is a changed city. 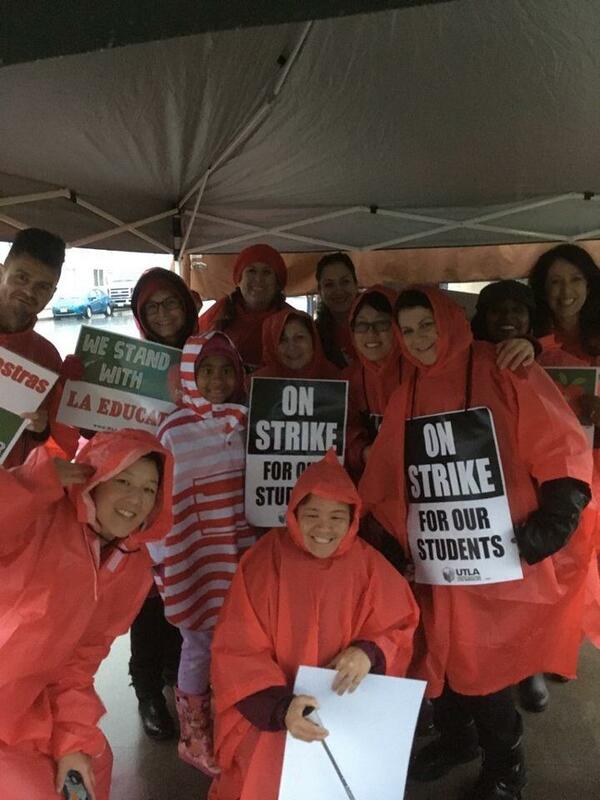 Our city draws closer together from the hard work of organizing classroom by classroom and community by community. 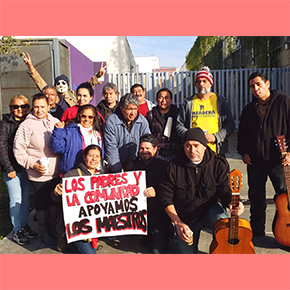 We are standing stronger than ever before against privatizers and deregulators. 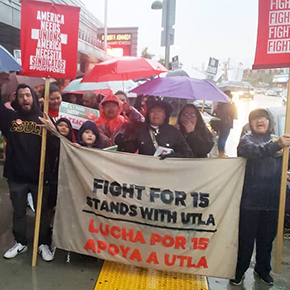 We’re at the beginning of a long march to restore the common good, here in Los Angeles and across California. 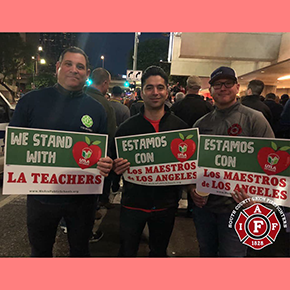 The organizing efforts of United Teachers-Los Angeles have been heroic. 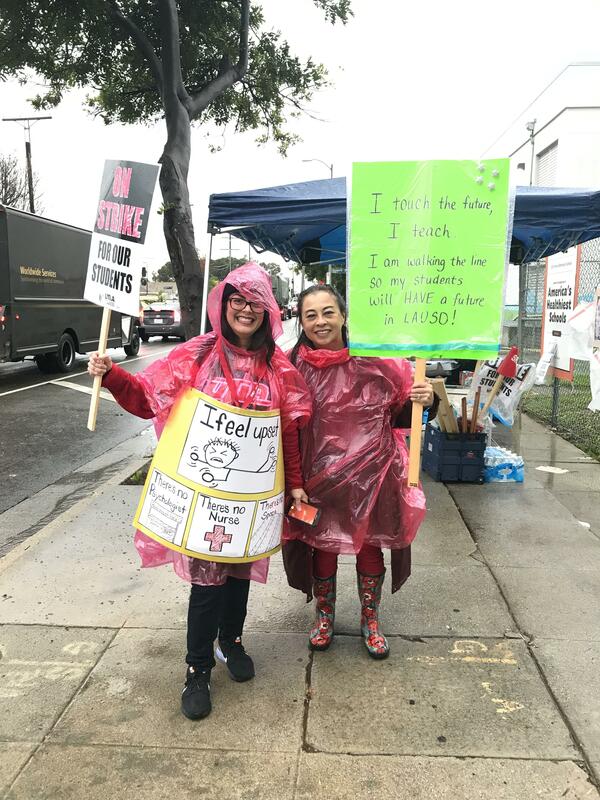 They stood up to a movement backed by billionaires, scolding from newspapers and elected leaders, and a month’s worth of rain over a week of picket lines. 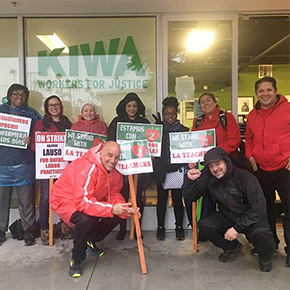 The contract their members ratified last night answers the call of social justice from the community, putting an end to searches in dozens of schools, establishing thirty more community schools, and cutting testing in half. 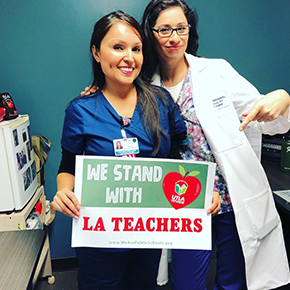 It fills school libraries and nurses' offices with the professionals who can be there for our children as they grow and when they fall. 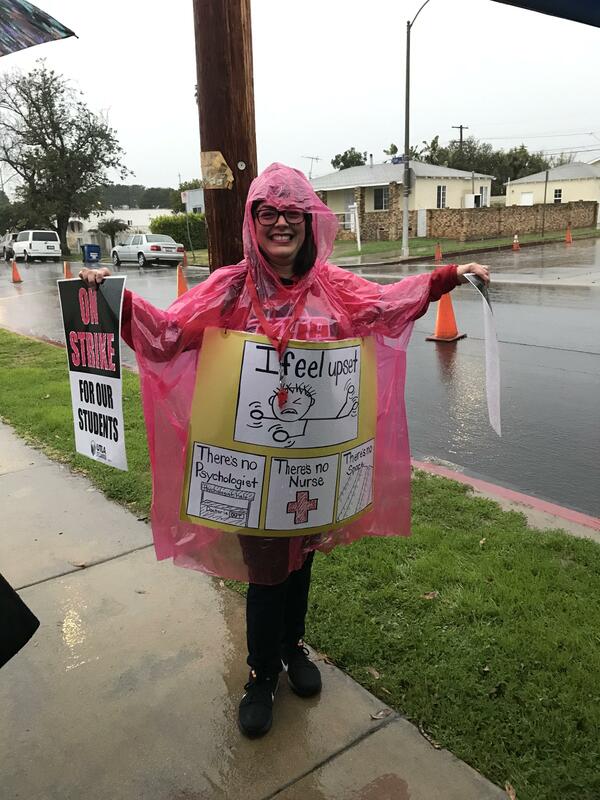 It shrinks our classes so they can learn. 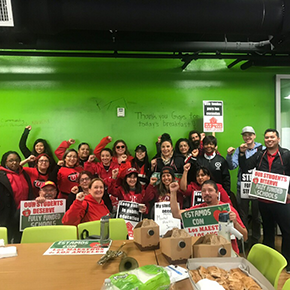 UTLA called our entire city to action, and our entire nation took notice. 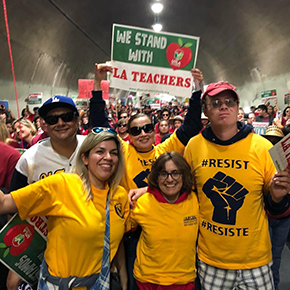 Wisconsin, Chicago, West Virginia, Oklahoma, Arizona, and now Los Angeles: across the country, teachers are fighting back and the public is answering the call. 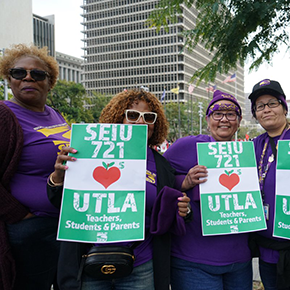 I’m especially proud of the Los Angeles labor movement’s role in backing this historic victory. 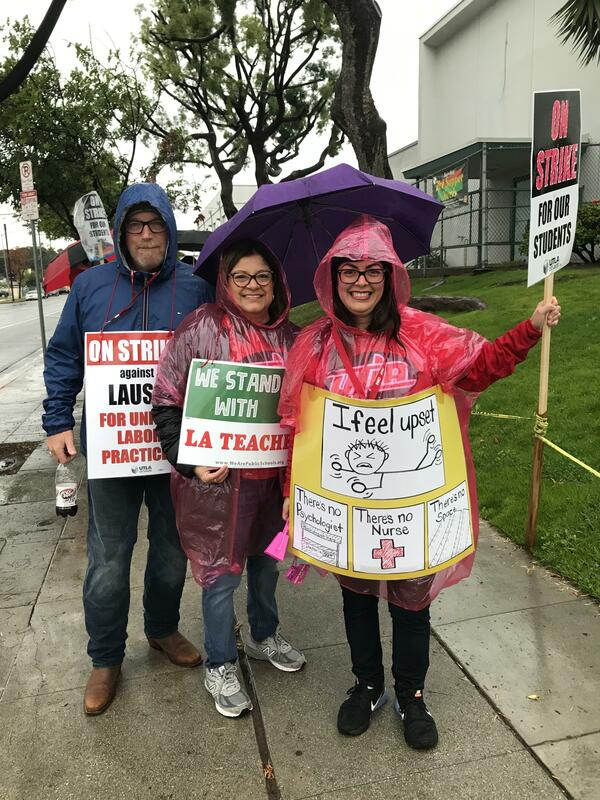 Even before the first morning of the strike, the LA Fed and our affiliates had our teachers’ backs. 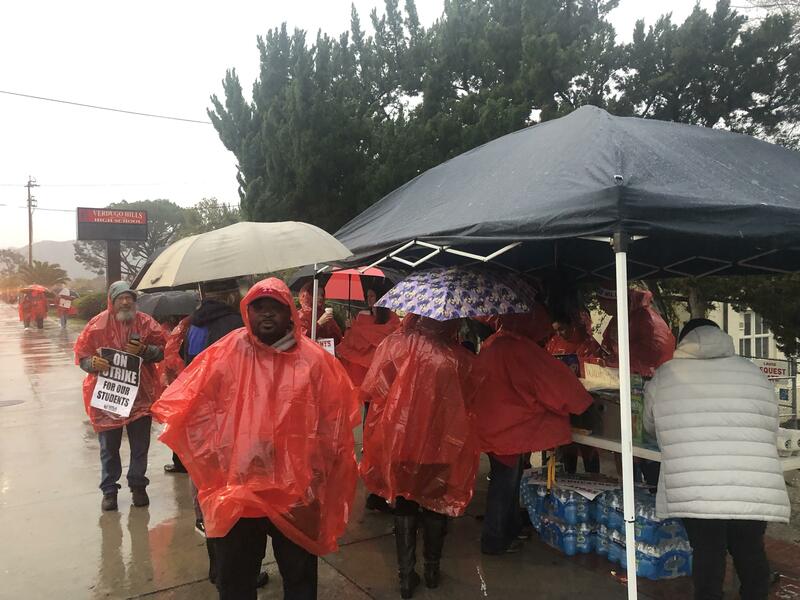 Here’s a short gallery of pictures of LA labor standing up for its own. 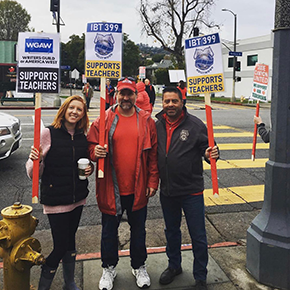 CWA Local 9003 adopted 3 schools, Byrd Middle School in Los Angeles, Verdugo Hills High School in Sunland Tujunga and Playa Del Rey Elementary School in Culver City. 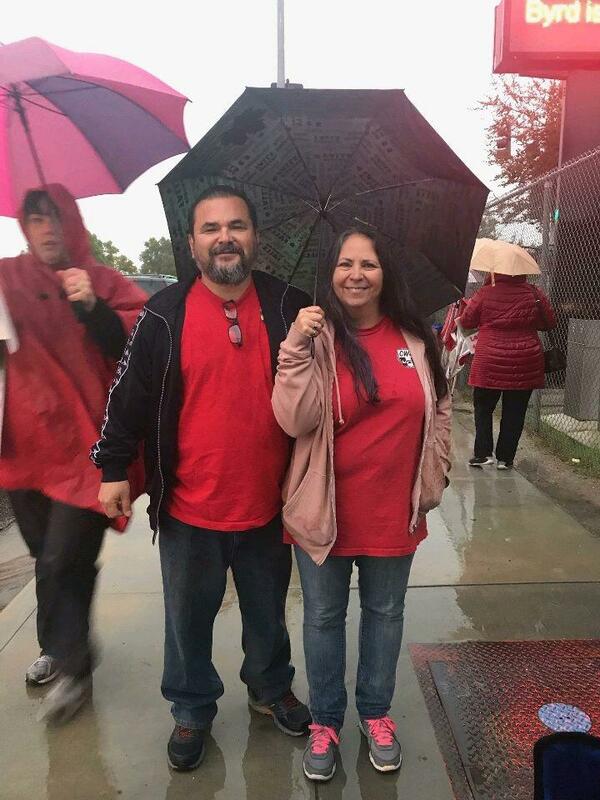 CWA Retiree, Gregg Gibson and Judy RaPue representing on behalf of CWA District 9 marching in support alongside her daughter and teacher, Ms. Lauren Huanosto at 135th Street Elementary School, Gardena, CA. 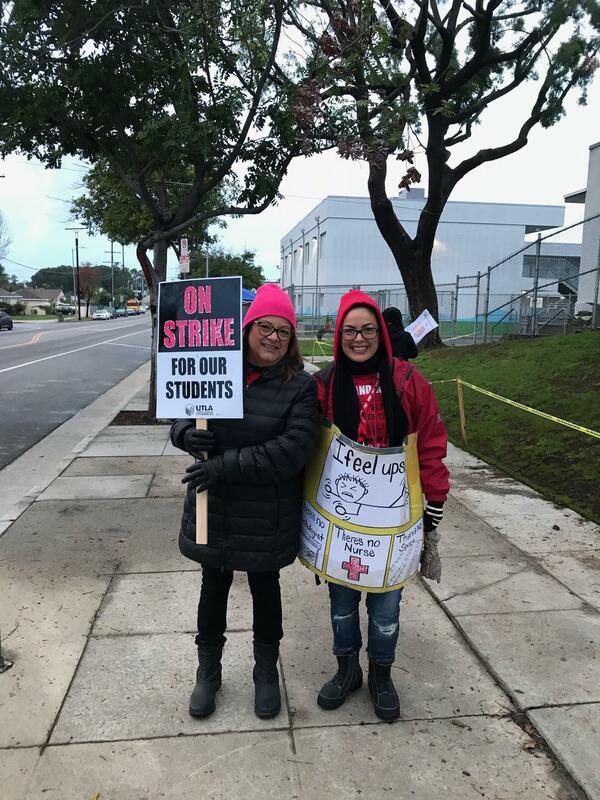 Judy Rapue, CWA Staff Representative and her daughter and Teacher, Ms. Lauren Huanosto.